Owning a GoPro action camera is one of the best things in the world. It is the best action camera on the market, and drone manufacturers are building drones that have a special mounting for the GoPro camera. 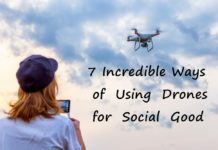 For this post, we scoured the internet for the best GoPro drones and enlisted the help of drone enthusiasts with experience flying GoPro drones. 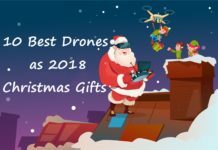 We also sort feedback from drone hobbyists, and looked into the customer reviews on Amazon and other drone review sites to compile this list. We understand that no drone is perfect, but we eliminated the GoPro drones that have the most negative reviews. 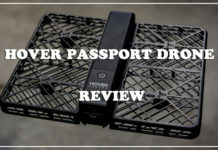 Read on to the end, and we guarantee that you will finally make up your mind on whether you ought to buy a GoPro and the specific drone to get after going this review. Since it hit the market, the GoPro Hero action camera models have remained at the top of the pile primarily for their affordability as well as having top of the line features. The guys behind the GoPro had a brilliant idea to send the GoPro Hero cameras to the sky, by manufacturing a drone of their own dubbed the Karma. However, it got a rocky launch marred by massive recalls and an overall underperformance in the market, GoPro the company, decided to pull the plug on Karma’s development. You can still find the Karma on sale, at massively discounted prices. Where GoPro Karma failed, other drone manufacturers have succeeded, though there are reports that the Go Pro Karma may making a comeback. However, better drones have hit the market and come with special mounting for the best action camera in the market. In this guide, we look at the best Go Pro drones you can find. If you are an experienced drone pilot, you know that DJI is the king of the skies. Despite having many models under its brand, the best Go Pro drone under the DJI stable is the Phantom 2. 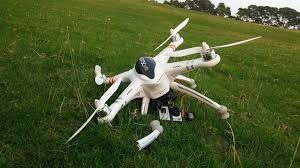 The company is giving stiff competition to other drone manufacturers with their drones as well as the camera and but the DJI Phantom 2 carries the day for having the best GoPro mounting. The Phantom 2 has the DJI Zenmuse H4-3D Gimbal designed to hold the Hero4 Black Camera. 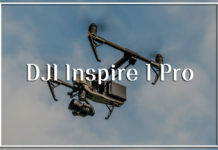 The gimbal needs to be calibrated with software from DJI, and once the gimbal is calibrated, the GoPro camera will move in harmony with the gimbal, and this contributes to the stability of the drone for amazing stills and video. You get an impressive 28 minutes of flight time on a single charge of the powerful 5,200mAh Li-Po battery that is easy to remove and has intelligent circuitry with built-in remaining charge indicator. It also has new and improved self-tightening rotor blades, which means that you do not have to contend with the loss of the prop nuts when you remove them for storage. Despite DJI having other new models, the Phantom 2 V2.0 remains as their best GoPro drone. For $399, it is still the best GoPro drone on the market. The 3DR Solo has caught the attention of drone hobbyists and professionals looking to hook up their GoPro cameras. You can get it on Amazon, and comes with a sturdy carrying case to protect the drone and the accompanying accessories. You will get four extra rotor blades, and a spare battery. 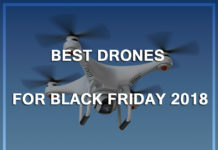 What makes it popular is the use of two computer processors, one in the drone and the other in the remote controller. The drone uses a Wi-Fi signal to communicate with the controller, and this ensures that you get faster reactive speed as well as a longer range. You get several flight modes including Follow Me, which allows the drone to fly on its own so you can focus on controlling the GoPro camera to get the perfect shot and stills. You get 20 minutes of flight time on a single battery, and the spare battery will bring the drone back home. You will get a range of 800 meters between the drone and the controller, and this is good enough. The 3DR Solo is a legend in the industry, and given its flight capabilities, it is one of the best Go Pro drones under $300. However, at a price of $298.99 it is too expensive given that it does not come with a gimbal. 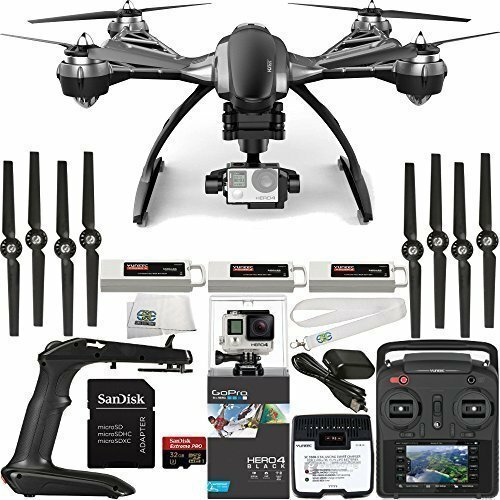 This is an amazing drone to have and despite the gimbal sold separately, it still one of the top-rated Go Pro drones in the market today. Most sellers on Amazon ship it to all parts of the world, and you can have it gift-wrapped. This is another fantastic drone from 3D Robotics, and the IRIS+ is on a class of its own offering a wide range of airborne capabilities. It has a payload of 400 grams enough to support a GoPro camera that weights roughly 150 grams. 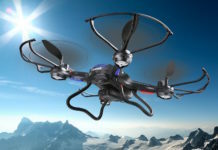 It is an easy drone to use since you only need to fix the rotor blades, charge the battery, and have a fantastic time flying. The IRIS+ uses a 5,100mAh 3S 8C Li-Po battery that gives you a flight time ranging between 16 – 22 minutes depending on the payload utilized. You can fly the IRIS+ with the accompanying controller that has an 800-meter range or fly it with the advanced 3PV Follow Me mode. The mode turns the drone into a hands-free camera. It also the latest advanced Pixhawk autopilot system, and comes with an extra set of propeller set and a Jestik 4GB USB drive value bundle, and an extra battery. The IRIS+ can be programmed to follow any GPS enabled Android device and the advanced technology used to build it ensures that the gimbal is stable enough to keep the Go Pro centred on you. The drone is worth the $650 price tag on Amazon, and you can tell from the positive customer reviews and a 4-star rating out of a possible 5. However, the GoPro compatible gimbal is sold separately. This Go Pro drone will fulfil your needs. With the extra battery, you can fly as far as the payload will allow and use the spare battery for the drone to return home. It is one of the best ready to fly drones in the market and with the controller; you can fly the 5,100mAh 3S 8C Li-Po battery autonomously using your iOS Android or Windows Mobile device. 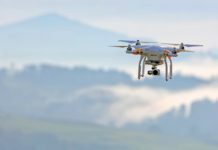 Yuneec has quickly risen up the ranks in the drone manufacturing circles for the quality and functionality of their drones. The Typhoon G expresses the quality synonymous with Yuneec, and it is popular with pilots who prefer premium GoPro drones. 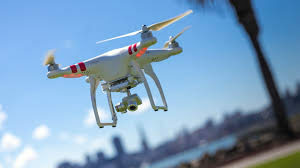 It is has a multitude of flight modes including Circle Near Us, Follow Me and best of all it has impeccable Altitude Hold feature that is stable enough for the GoPro camera to take fantastic footage and stills during flight. It has an included 3-axis gimbal that supports GoPro mounting that ensures that you get sharp images no matter the movement of the drone’s frame. It uses an ST10+ Ground Station that receives the in-flight transmission from as far as 800 meters away with no noticeable lag. The Typhoon G uses a powerful battery that gives it an average flight time of 20 minutes. 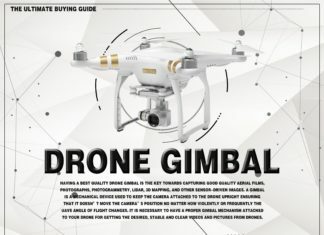 The Typhoon G is priced over $500, and it is a fair price given that the gimbal is part of the package. 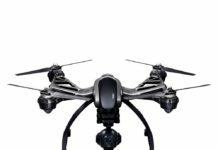 This is one of the best drones from Yuneec, and you will have fun with your GoPro. The Typhoon G is a great GoPro drone to add to your collection though it is a letdown when it comes to the battery capacity gives it an average flight time of between 15 and 20 minutes. Otherwise, this is one of the best buys in the GoPro drone category, and it is ready to fly, so you do not have to assemble it. EHang drone engineers have surprised drone enthusiasts with its larger than life ideas most recognizable the 184 drone, which is a human-sized single seater aerial vehicle. 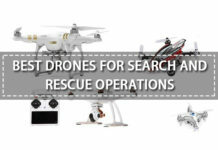 They also have one of the best GoPro drones, Ghostdrone 2.0, which is built around the Phantom design, but with inverted motors and rotor blades. 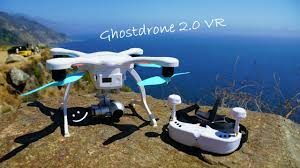 Flying the Ghostdrone 2.0 is via your Android or iOS smartphone device, and it has an optional FPV headset to get the most out of the footage from the GoPro. It is worth pointing out that the Ghostdrone 2.0 does come with its camera, but the mounting can also support GoPro Hero3 Hero3+, and the Hero4 cameras. It comes in two color variables blue and white. With the EHang Play App, you get Aviator Tilt Control, Waypoint Mode Companion Mode, Auto Return, and a microcontroller by tapping the screen of your device. The controller has a half a mile (804 meters) range for video downlink transmission, and a fully charged battery gives you a maximum flight time of 25 minutes. 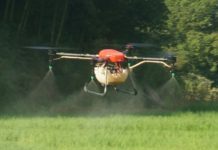 It also has self-tightening propellers mounted on high-efficiency brushless motors that face downwards for increased flight stability, performance, and weather resistance. The Ghostdrone 2.0 will return to its takeoff location when the battery is low, or when it loses the connection to your smartphone. The EHang Ghostdrone 2.0 is a good drone at the price of $399, or you can go with the VR version for $599. 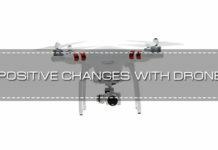 Either way, you will love the experience of flying this re-thought drone design. The Ghostdrone 2.0 is easy to fly, and you can have the drone in less than five minutes. The smartphone compatibility is excellent, allowing you to fly it without the hassle of carrying around the controller. However, the VR goggles can be distracting and since drone flying requires that you have the drone in sight preferably at all times. GoPro cameras can be made waterproof for a chance to shoot underwater footage and stills. Garlus saw the need to offer drone enthusiasts a chance to extend their flying experience over large water bodies as well as underwater. The Mariner 2 uses a similar concept to that of an amphibious UAV although it is not designed to work when completely submerged. The Mariner 2 uses a 2-axis gimbal for controlling the position of the GoPro camera although it is not as nimble as a 3- or 6-axis gimbal alternatives found in other drones, it works well enough. The drone has a dedicated controller as well as a smartphone app available for iOS and Android devices and has all the control and features to control the Mariner 2. This waterproof eliminates the risk of flying over larger bodies of water such as raging rivers, lakes and the like. 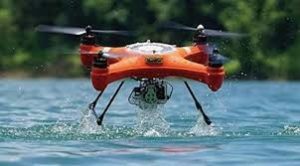 It uses ESC 690kv waterproof treatment brushless motors and ESC high-quality 40A self-tightening carbon fiber propellers, that give it the ability to carry a payload of up to 2500 grams. The Mariner 2 has a 4500mAh Li-Po battery that gives it 20 minutes flight time without a load. You will be able to tell when the battery is running low with the four super bright directional LED lights. It also has a quick release landing gear. 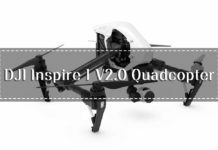 It has a built-in power adapter with dual usage detach design that enables it to change from waterproof flying to gimbal FPV for professional photography and video recording with your GoPro mid-flight. 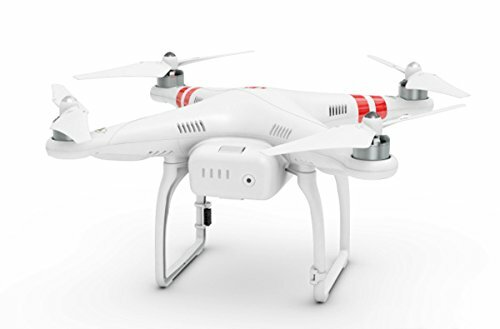 The drone goes for $799 on Amazon, and it attracts a $15.49 shipping charge, but it is worth the money. It has an amazing 5/5 star rating, and this makes it worth the money. 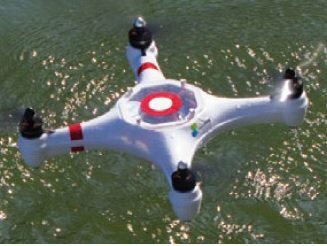 This is an amazing GoPro drone to have since it offers exceptional functionality, and you do not have to steer it away from the water. It can be used for fishing, search, and rescue delivering life vests to persons thrown overboard, as well as in underwater explorations. It also means that it will go anywhere you want it to for that perfect shot. 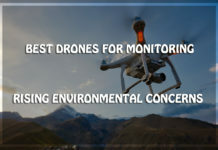 This drone has a host of features that make it worthy to be on this list, and the most notable has to be the durable plastic body, waypoint navigation, and impressive battery life. It also features auto takeoff and landing, GPS altitude hold, as well as return to launch, and so much more. You get over 25 minutes of flight time thanks to the 3S 5200mAh 11.1v Li-Po battery, and it has an improved 2.4GHz flight controller. Walkera QR X350 Pro FPV has a plug-and-play gimbal suitable for GoPro and other action cameras. It also has improved altitude sensors that use GPS to provide fantastic hovering capabilities with the altitude hold feature. The list of features extends to brushless power, compass sensor low voltage detection and so much more. If you prefer running autonomous flights from time to time, you will love the MAV link, ardupilot, and open source mission planning software that gives life to the waypoint flight. 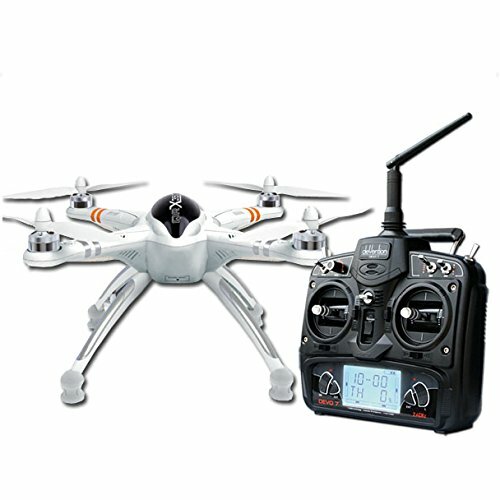 It uses Walkera’s Devo 7, a 2.4GHz seven-channel transmitter that has a quad-bearing design for easy control even for beginners, and with extra receivers, you can control up to 15 Walkera QR X350 Pro FPVs. You can get the Walkera QR X350 Pro FPV for $549.96 a superb price to pay for an amazing drone. 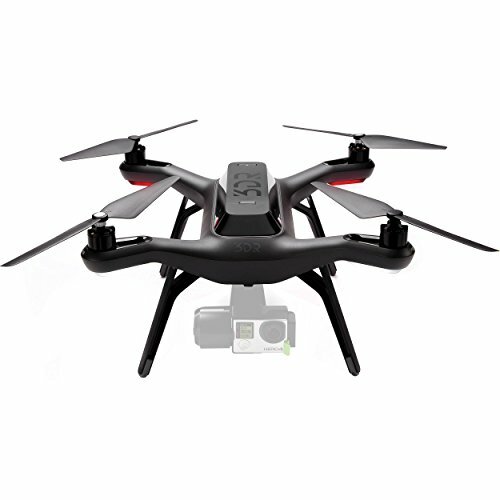 It is one of the bestselling GoPro drones and you ought to get yours while the stock lasts. 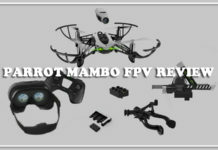 The Walkera QR X350 Pro FPV is an amazing drone, and with the easy to use controller, it is perfect for beginners and it gives experienced professionals precise control of the drone’s flight path. However, you can choose the autonomous flight modes if you want to focus on getting the GoPro to take the best footage or stills. GoPro cameras are the best action cameras for adrenaline junkies looking to film their expeditions as well as professional cinematographers and photographers looking to get the best quality footage and stills. While you might opt to go for the drones that come with a camera, you are not always sure of the output quality. We went to great lengths to evaluate test and seek drone enthusiasts’ opinion on their best GoPro drones, and we came up with the drones reviewed above. 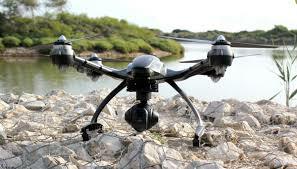 Below are the factors that made the above drones the best for use with a GoPro camera. Since the gimbal and the drones are sold separately, we considered the drones that gave the best stability for the GoPro to take stills and video footage. The minimum we considered was a 2-axis gimbal, as well as the sturdiness of the propellers to ensure stability for the gimbal and the camera. 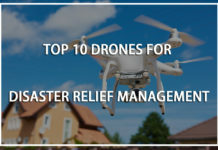 In addition, looked at the drone with powerful batteries and the minimum flight time you will get on this list is 15 minutes, which is better than most drones that, come with their own cameras. 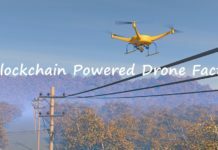 We considered every type of drone enthusiast from beginner to the experienced, and saw it wise to compile drones that everyone can use irrespective of his or her level of experience. 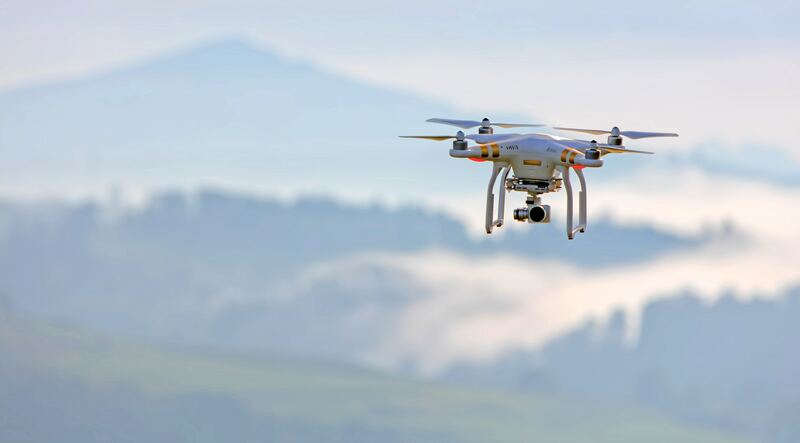 The above drones are easy enough to fly and are suitable for beginners as well as precise enough to give experienced drone pilots precise maneuvering. 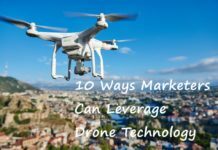 You could have easily gone for the ordinary drones that come with cameras, but because you want to record high-quality footage and take high-resolutions stills, you are looking at GoPro drones. We only considered those that have various autonomous flight modes that allow the pilot to focus on getting amazing footage and stills. Since it can take a while before you get the perfect footage, go for the GoPro drones that come with extra accessories, such as batteries and propellers. Most importantly ensure that the battery is powerful enough to give you a longer flight time as well as high-quality propellers to avoid prolonged downtime. Before you make the purchase ensure to read customer reviews to identify the brands with reliable customer care service. It is also crucial that you buy from a seller that will deliver the order within an acceptable time who uses reliable sellers. The price ought not to come before the features, but sometimes it dictates the number of features. 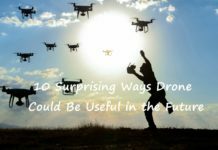 However, when creating this list, we have come across cheap GoPro drones that have features you would expect from pricier alternatives. However, stick to your budget and get a drone that gives the most value for your money. A: Most drones use smart battery chargers that stop charging after the battery gets full. However, avoid leaving the battery on the charging hub; it takes on average between 2 and 4 hours to fully charge a battery. Leaving them connected to the mains will overcharge it and hence reduce its lifespan. Q: How can I buy the best GoPro drone? The number of drones on offer in the market can be overwhelming. It does not help being that the information comes full of industry jargon. We have strived to break down the information into understandable English. We have also provided a link to reliable sellers on Amazon. However, be sure to see that they ship the drone to your country before processing the payment in the shopping cart. A: If you have ever owned a drone then you know what to look for in your next buy. For a first time buyer, it is much harder getting the best buy in the first strike. 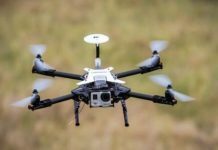 Whether you are a beginner or you have had a few drones before getting a GoPro drone, our review of the best GoPro drones and the criteria we used to compile the list will help you in making the right choice.